Been a while since I’ve posted an unboxing post! Anyway, Escha & Logy Plus actually came first before the other 2 games which were in the same package. 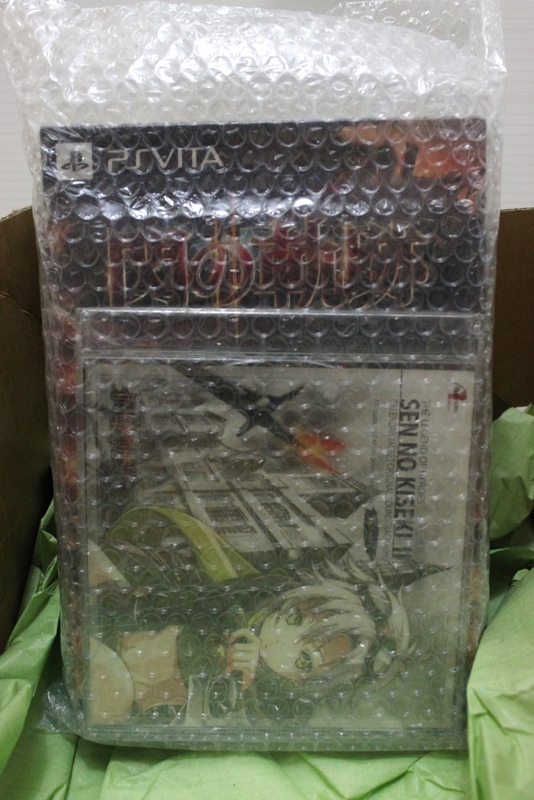 But I feel I should just post them together anyway since it’ll be weird seeing 2 post of unboxing stacked together. 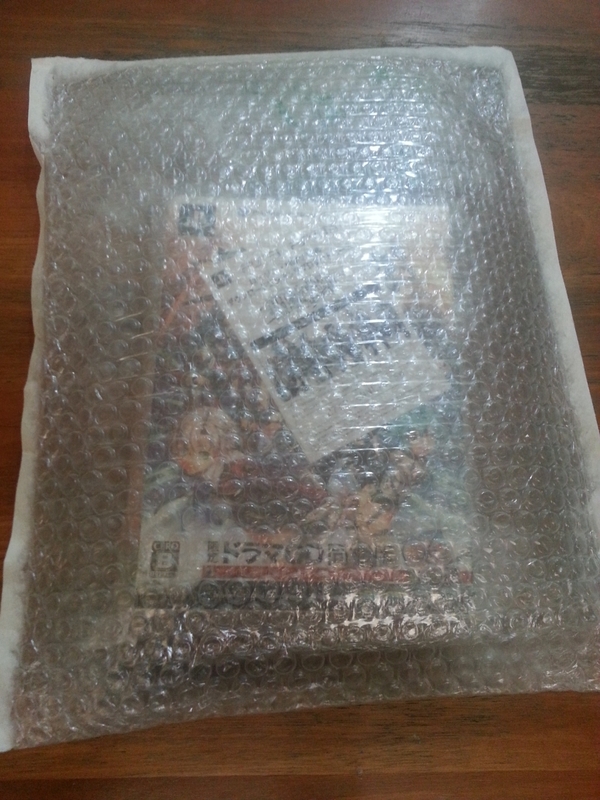 P4D and Sora SC Evo just came and while I still haven’t bought a new Vita, an unboxing post should do some justice. Another day, another unboxing. Anyway the package arrived pretty fast, one week exactly from its shipping time and it sent a notification mail to pick it up pretty quick too. So I managed to get it by the time I got home. The long awaited game has finally arrived! Waiting for this is a tortureeeeee. I ordered it from CDJapan this time so I got Fie cover bonus OST with 3 pages of 2015 Calendar which is only from January to March lols. 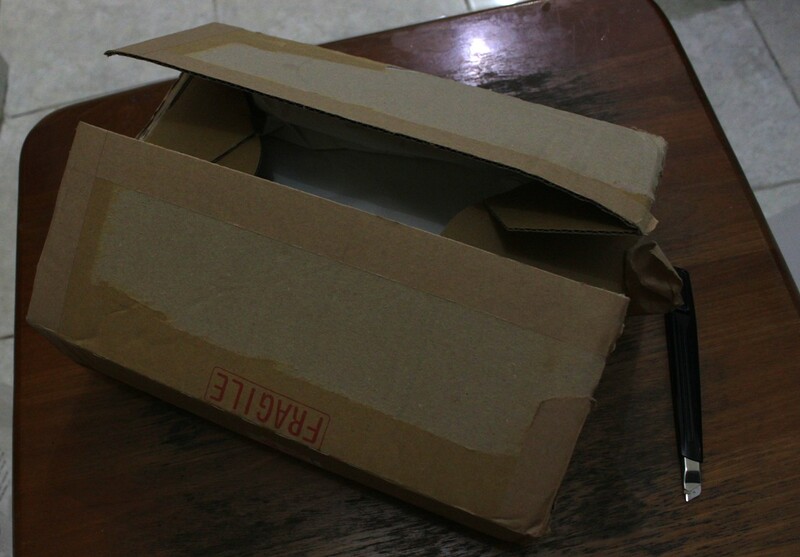 Here’s the story, CDJap did a great job shipping my package a day before the release date but WAIT. The problem started after that, which is in customs. There are no news about it arriving in my country until at least a week later and even after that there’s no sign of it being delivered although the tracking status clearly said “Retention” and “Attempt to deliver” but I heard no doorbell yo. Eventhough I haven’t finished ZeroEvo (still on chapter 2), I decided to get this right away. This is because I bought it directly from a local online shop which only stocked 1. Yes that’s right 1. I found it a month ago and asked the person in charge and he said they only stocked one because it’s japanese. Chances are slim because either a Falcom fan is looking for the game and people won’t buy it because it’s not english. Not to mention the price is pretty good, as in it’s cheaper than importing directly from the usual onlineshop. The last time I saw, only CDJapan still have it as it’s sold out already in HMV. I don’t wanna ever import from Play-Asia because they overpriced it. I said to the person that I wanted it but probably later on. So I finally bought it a month later (now) and behold! Aka the famous The Legend of Heroes : Trails of Flash (if I actually got it correctly). Coz I’m living on a different place for uni, I barely have time to play it. It arrived last Wednesday but I only got the chance to unbox and play it on Friday. I only finished the prologue and on the start of chapter 1 lol.